After my last post, I thought I could share a few tips and products I use to help calm my eczema. Before we begin, eczema is a term that is applied to a wide range of symptoms and rashes. It is not just a rash that comes and then goes away with treatment. I explained in my previous post that I have had this autoimmune disease most of my life. I have seen various doctors and naturopaths and have not found any relief. I am in no way certified to give any medical advice. This is knowledge I have collected from living with eczema. I started my first Whole30 this past year in attempts to pin point inflammatory foods that may be making my eczema symptoms worse. Beginning the Whole30 and cutting all sugar from my diet led me to experience an awful underarm rash. I have had underarm rashes before, but they were caused by the razor and shaving cream combination I was using. 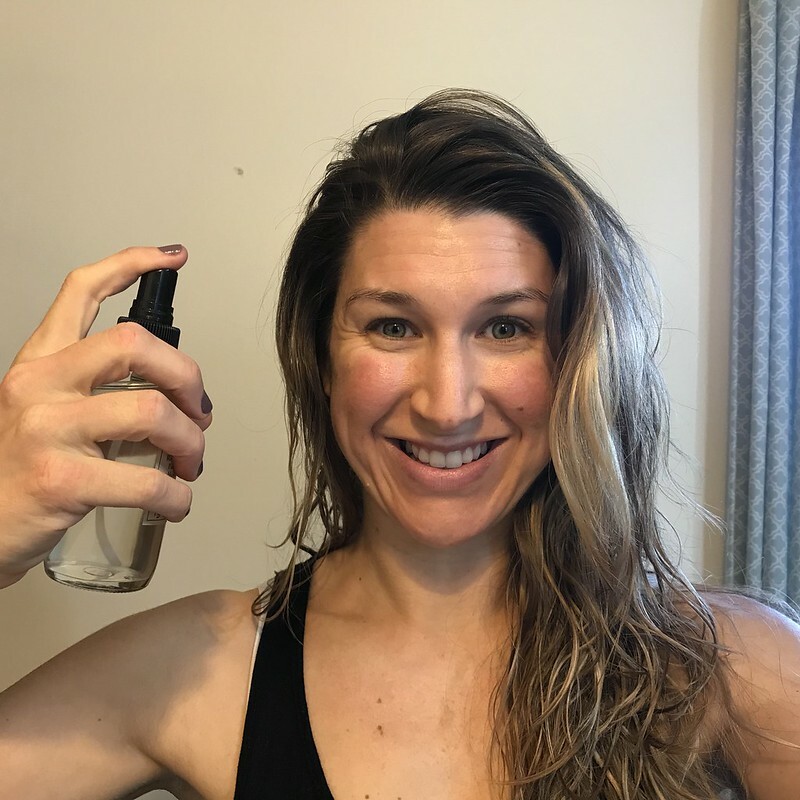 When I started the Whole30 I had found a good razor and shaving lotion and was also using an aluminum-free deodorant (more on that below!). That’s it! The fewer and more natural the products the better! I finally realized that what I put on my body should mimic what I put in my body. Those are steps I take immediately following a flare up of my eczema. After a few days (or sometimes a few weeks), I will slowly add products back to my routine. Only one at a time so I can know if that product is going to irritate my skin. This truly is like reintroducing food after a Whole30. One of the first things I try is a few drops of tea tree oil in my water/aloe spray. If there is any increase in redness or itching then I will back off for a few more days. Our bodies talk to us, we need to listen! I’m still in the middle of this journey and am trying new things every day. For today, this is what works for me and my body. Listen to your body and experiment to see what works best for you!